Food Culture - William Barry selects some of the food related events going on around the country as part of tonight's Culture Night. Culture Night is going from strength to strength with venues and public spaces across the island of Ireland as they open their doors to host a programme of free late-night entertainment, as part of an all-island celebration of arts, heritage and culture. Now in its thirteenth year, Culture Night returns tonight Fri Sep 21st 2018. Here are my pick of the best food and drink related events happening tonight around the country. It’s always best to book ahead where possible and check the venues websites and social media for the most up to date details. 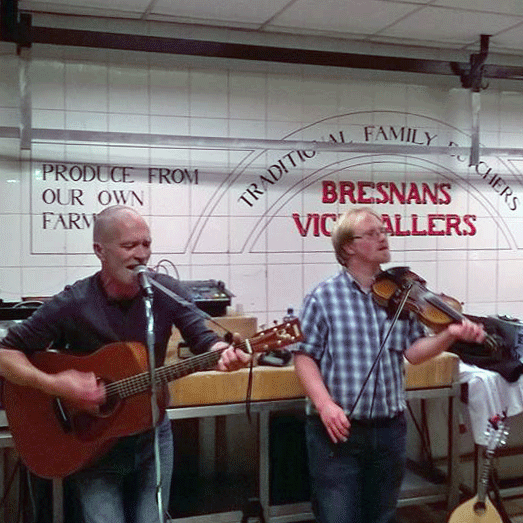 The Trio behind the “Bringing the Wine Geese Home” tastings are reuniting again this year for Culture Night to lead a historical walking tour around the streets of Cork City. Starting from L’Atitude 51 at 4pm, Maurice O’Mahony, Colm McCan and Beverley Mathews will retrace the footprints of Cork’s Wine Geese families’ – the street names, buildings, places and people, originally from Cork, connected with some of the famous wine families of the world and will finish back in L’Atitude 51 with a special “Wine Geese” tasting in the upstairs bar. The itinerary includes The Port of Cork & Bonded Warehouses, The Crawford Gallery, Huguenot Quarter and plenty more. The event will last just under 2 hours. In its fourth year, this is always a very popular event, so booking is advised. 6PM – Coffee Cupping Brock from Badger & Dodo of Fermoy will talk you through the profile of the coffee used at the recently opened Pub/Grocers Crawford and Co, as well as some new and exciting single origin coffees just landed from his visit to Colombia earlier this year. Brock is taking Badger & Dodo in an exciting new direction that involves visiting coffee growing countries to meet the farmers and hand select coffees for the Irish market – instead of choosing from a list that a foreign broker provides. He will also be on hand to give a few home brewing tips. A range of tasty treats to compliment the coffee will also be on hand. 8PM – Whiskey Tasting At Crawford and Company they are very proud of their collection of whiskies and their connection with the Jameson Distillery in Midleton. One of their experts with give visitors an insight into appreciating Irish Whiskey – learn to nose, taste and savor the flavor. Over 18s only. Described as the ‘heart and hearth of Dublin’, Bewley’s has been part of Dubliners’ lives since 1927. There is over a century of history in the building and a carefully curated collection of art and artefacts displayed over three recently refurbished floors – tours running every 30 mins – First come, first served. Enjoy live music and late night treats from new head chef Austin Byrne. Visit the Teeling Whiskey Distillery to celebrate the rich culture and history of this groundbreaking distillery and its vibrant neighbourhood. Enjoy a talk from a Liberties historian to kick off the evening, followed by a distillery tour and a tasting session taking in a selection of Teeling Whiskeys. Booking essential to avoid disappointment. Over 18s only. Born from The Fumbally Café, The Stables host workshops, events, and weekly classes, with a core focus of education. Learn more about their mission to discover how the way we eat and drink affects our health and happiness, about sustainable food practices and production, and join in celebrating Ireland’s inspiring culture of food and drink. Wicklow’s own Catherine Fulvio of Ballyknocken House & Cookery School will talk you through some of these wonderful recipes, highlighting some quick, easy and tasty meals that will get you through the autumn weeks ahead. Address: Blessinton Library, New Town Centre, Blessington. Wicklow. This little piggy event goes to the Market. In association with the Pigtown Food Series and the Limerick Food Group. Featuring Pig Talks, Pig Parade Walks, Street Food, Cooking Demos, Music and much more 5pm to 8pm. Visit Pigtown.ie and Limerick Milk Market Facebook for more info on this Food and Culture Series. The award winning Rua Cafe and Delicatessen makes Culture Night more delicious with a drop in ‘Mayo Mezze’ and some live music for your pleasure.